We connect Madrid and Lanzarote on a daily basis! 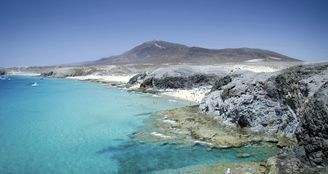 Lanzarote is like no where else on Earth, with both inviting natural areas and rugged, powerful volcanic landscapes. Plus, in Lanzarote it is always Spring, as the average temperature stays at 21oC year-round, and the skies are always blue. 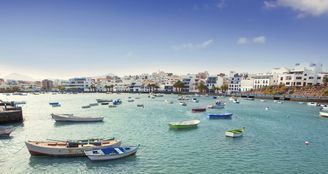 Beyond its unbeatable climate and unique landscapes, however, Lanzarote also has solid cultural offerings in its six tourism centres and in over 15 museums and art galleries. In 1993, Lanzarote was declared a UNESCO Biosphere Reserve so as to safeguard the island's natural treasures and encourage sustainable development. The island particularly showcases how art can be integrated in the environment, particularly evident in the work of local artist César Manrique. 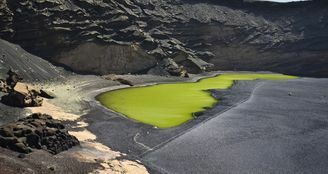 Lanzarote is home to 12 protected areas with volcanic origins, including the Timanfaya Natural Park, making it a top destination for hikes and excursions. Thanks to the island's ideal climate, Lanzarote's beaches are truly a slice of paradise. The average annual water temperature is 19.5oC, and the sea is generally calm and placid. With these conditions, water sports and boat trips are a top activity choice on the island. Some of the most popular beaches are Famara, in the middle of a natural park and offering perfect waves for surfers; Papagayo, nestled in an area of volcanic hills; and Playa Blanca, where you can enjoy a wide variety of culinary delights at its many bars and restaurants.